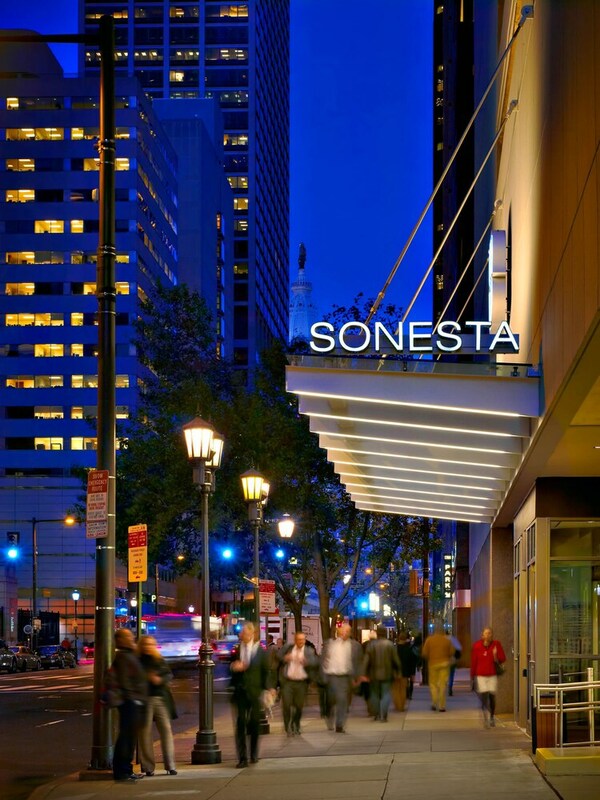 Sonesta Philadelphia Rittenhouse Square features an outdoor pool and a health club. The hotel offers a restaurant. A bar/lounge is on site where guests can unwind with a drink. A computer station is located on site and wireless Internet access is complimentary. This 4-star property offers access to a 24-hour business center. Event facilities measuring 16000 square feet (1486 square meters) include conference space. This business-friendly hotel also offers multilingual staff, coffee/tea in a common area, and concierge services. Parking is available onsite for a surcharge. 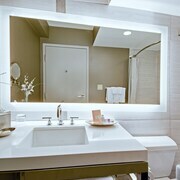 Sonesta Philadelphia Rittenhouse Square is a smoke-free property. Along with a restaurant, this smoke-free hotel has an outdoor pool and a health club. WiFi in public areas is free. Other amenities include a bar/lounge, a 24-hour business center, and valet parking. All 439 rooms provide conveniences like refrigerators and coffee makers, plus free WiFi and TVs with satellite channels. Other amenities available to guests include room service, free newspapers, and free local calls. Sonesta Philadelphia Rittenhouse Square offers 439 air-conditioned accommodations with safes and complimentary newspapers. Televisions come with premium satellite channels. Refrigerators and coffee/tea makers are provided. Bathrooms include showers, complimentary toiletries, and hair dryers. This Philadelphia hotel provides complimentary wireless Internet access. Business-friendly amenities include desks and phones; free local calls are provided (restrictions may apply). 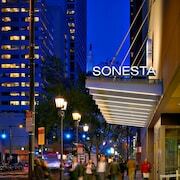 Sonesta Philadelphia Rittenhouse Square has a restaurant on site.